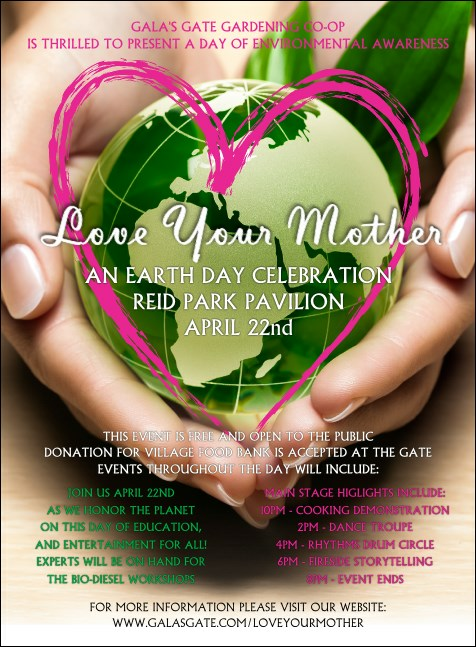 Help promote positive ecology and get the word out about going green when you send out Earth Day Heart Invitations for your event. Each Invitation template features a beautiful picture of a healthy, green Mother Earth cradled delicately between two hands and traced with a light pink heart. Do your part to help put a stop to pollution with TicketPrinting.com.